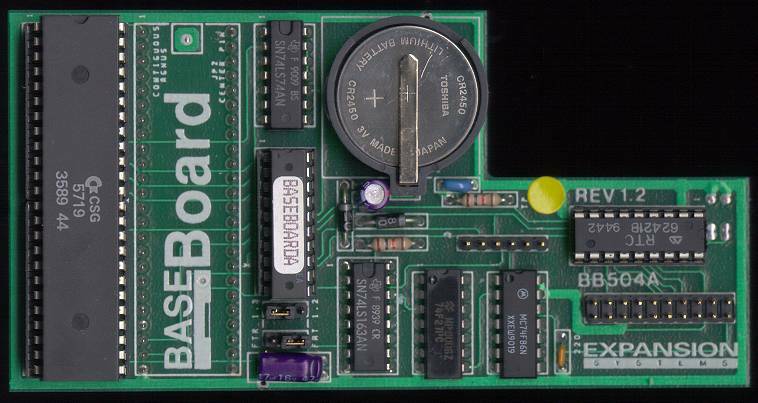 The baseboard is a two piece unit. 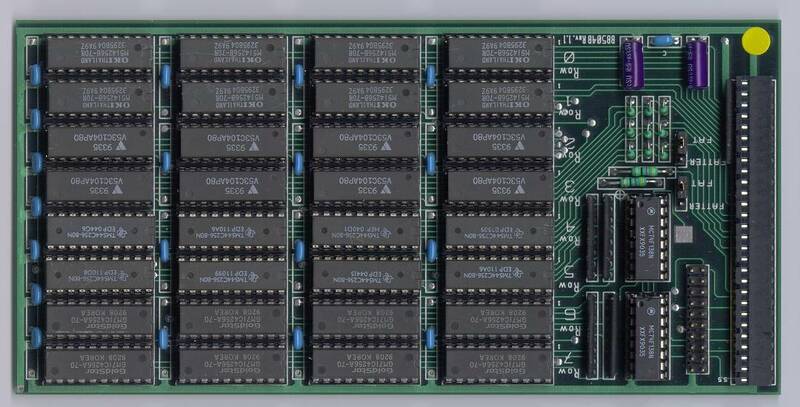 The first part (top image) fits underneath the Gary chip (note CSG5719 Gary on the card). The second parts connected via a cable and sits in the trapdoor slot. 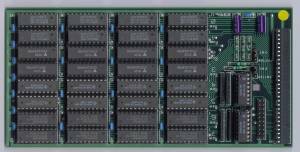 The board which sits underneath the gary chips is necessary so that more than 512K of memory could be added via the trapdoor slot. 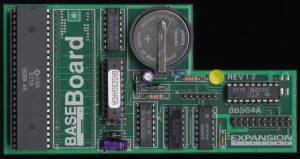 The baseboards adds up to 4MB of additional memory. Thanks to Steve Geary and Christopher Smith.